Happy Thursday everyone. Since we are in the middle of this beautiful summer, we thought it would be a great moment to talk about heat. Back in April Jeff had the chance to meet with Mark and Meghan, two Hintonburg residents who know a lot about the importance of heat. They are building their own house, but with a twist. 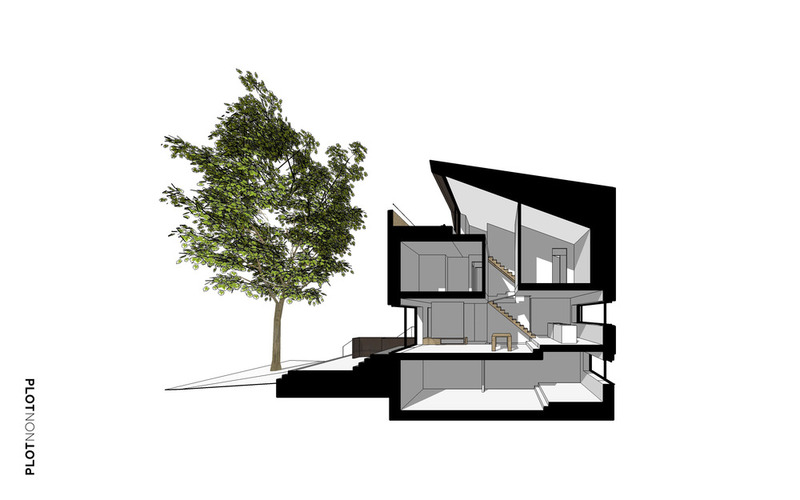 They are building a home known as a Passivhaus. A Passivhaus may not be a term that most of us recognize, but it is simply a super-insulated home that uses less energy to produce heat in the winter. How cool! Or not, I guess? Mark and Meghan believe this is a more comfortable, healthier home. Since the insulation is much thicker and tighter, they have more control of airflow in and out of the house, which means in the winter they don’t need as much energy to heat it, since no heat is being lost out of those annoying window cracks or door frames. As well as being energy conscious, they have designed the whole house and planned the build around preserving a maple tree from the 70’s in the front yard. Neat. Mark is a licensed Architect and building scientist and Meghan, as well as being a graphic designer, is the daughter of Bruce Gough, who was a figurehead with many of the green building programs found in Canada today. As well as designing the home to be energy efficient, their home is a monument to wandering, with a central space in the home that reaches upward, resisting the urge to physically settle to the ground. Wandering is a core value the couple share that they wanted their home to express, after they traveled for years together. Mark and Meghan are blogging about their home-building adventure over on their blog, WeBuildAHome.ca. They started this project in December 2014 and are working towards starting the excavation and site work soon. We can’t wait to check it out!